Install Tor Browser Bundle on the computer. 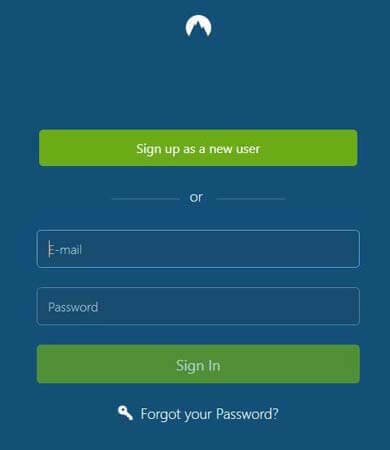 Login your NordVPN software with right username or password. Connect your computer to any Onion Over VPN server, If connected then go to next step. Run your Tor Browser, when successfully opened tor Browser then type any onion URL. You already know when you are surfing on the internet, every website track your IP, They already know who you are? And where you are living? If you are accessing the internet by Tor browser + NordVPN software, then no one can’t track you and don’t know where you belong from? The reason is both programs will create double layer for your privacy, Tor Browser hide your all network traffic by Tor routing and NordVPN will mask your IP address by other country shadow IP address. 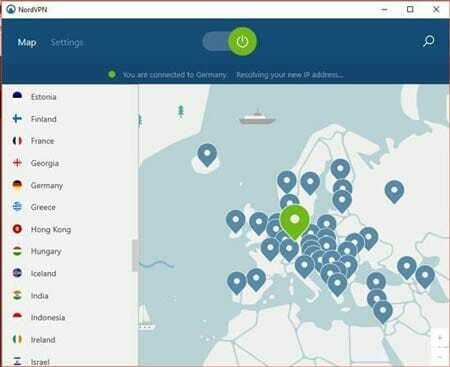 Here I am recommending to you NordVPN VPN Service, it’s one of the best VPN services; that offers Zero log policy, multiple protocol support, unlimited bandwidth, ultra-fast speed server, App and Internet Kill Switch, TCP or UDP protocol Support, Customization DNS support, 61 Country and 3600 Server Support, Also offer server in restriction area, 30 days money return policy and etc. Another permissions dialogue box would pop up, just click “run” to grant permission (again). 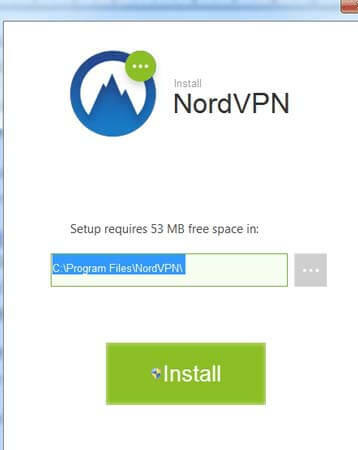 The installation process has been done, now login your NordVPN software with a valid Email address or password. After successful login, you will see a window like given below. Now time for establishing VPN connection. 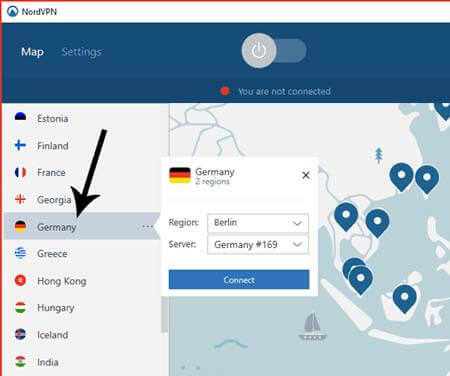 That’s why I am showing you an Example: I am using Germany country, Berlin Region, and server no #169. here I am showing you complete direction for how to establish your VPN connection.First, you need to go on country name Germany then click on that. After that, you will see one small window will open on your desktop that look like below screenshot. 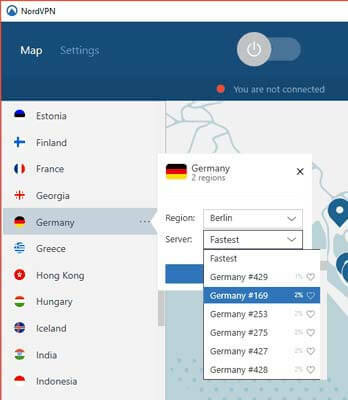 That small windows have 2 different property, one is Region and second is Server, in the Germany country, NordVPN offers two regions one is Berlin and Frankfurt, and Server section offers more than 400+ servers. in my demo example, I am selecting Berlin Region and Server #169. 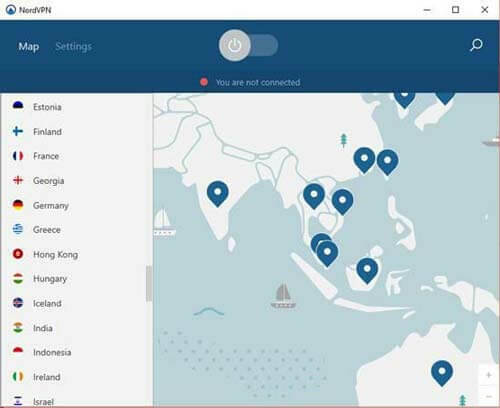 Then Press the “Connect” button, after successful connection, your NordVPN software will show you display like that. Once that’s done, you can simply click on any country from the list, or choose one from the map to start using that country’s IP address instantly! 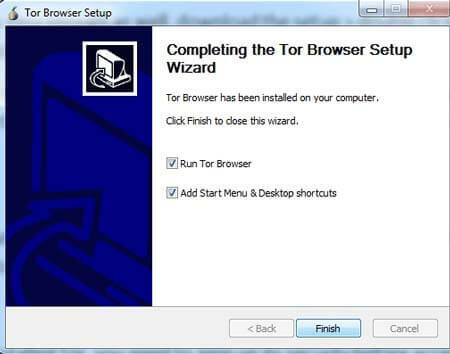 Installing Tor is easy enough as well, download the setup > double click > install. No harder than installing any game. Here’s the step by step process. And then check all the boxes to make sure you get every module that Tor has or needs. 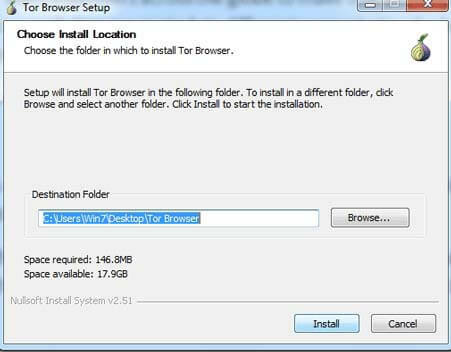 Then just choose the location where you wish to install Tor on your hard disk and click Install. This would install tor in your system. Once you’ve installed Tor, you need to amp up its security before accessing the deep web, and here’s how to do it. Click on the “Tor button” (the onion icon on the top bar), and click on “Security Settings” . 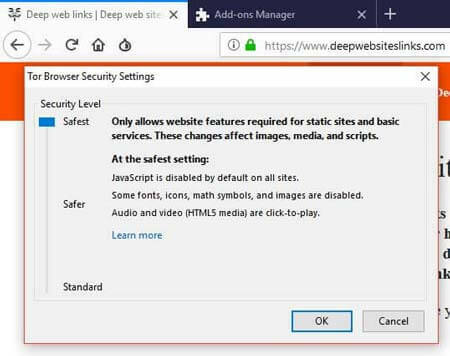 Note: Many times users complaining about they are not able to watch videos stuff when his Tor browser has “safest” level enable, In this case, a user needs to reset the setting like as Safer or standard. 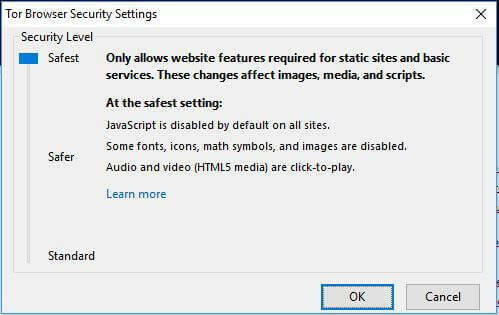 But you can disable “safest” level when you have trust on the onion site. 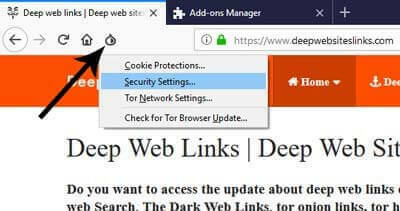 It’s the highest level of security that you can make use of while using Tor, although, for details on these options and learning how to use Tor, you can refer to our detailed Tor guide. 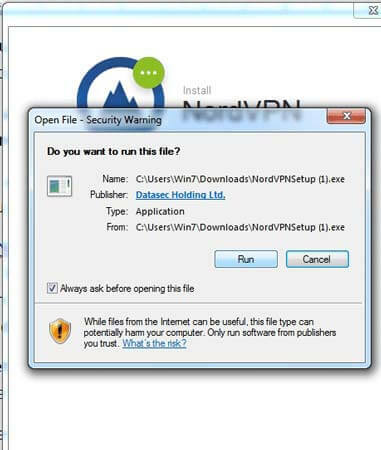 So armed with the OS + Tor + NordVPN, I bet there’s almost no one, no agency, not even the NSA which can penetrate your encryption and get your real-life identity. VPN(Virtual Private Network) + Tor Browser both can make double layer security, which doesn’t leave any week security hole. Now you also need to focus some quick points before exploring the deep web. Close all running application at the time of deep web access. 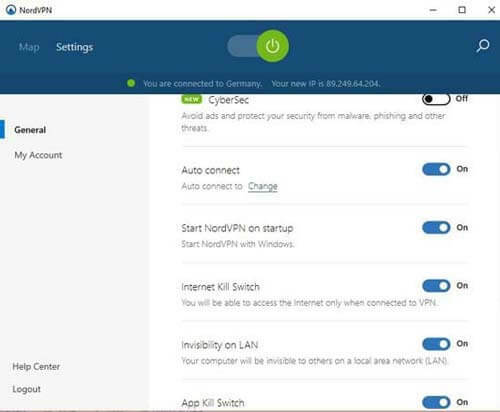 Must configure NordVPN (Internet Kill Switch, App Kill Switch Setting, invisibility on LAN), all setting should be active, these setting you can find under Settings option in the NordVPN software. like below given screenshot. So now you’re ready to finally access the deep web!